Let guests and bridal party members know the date of your big day well in advance. 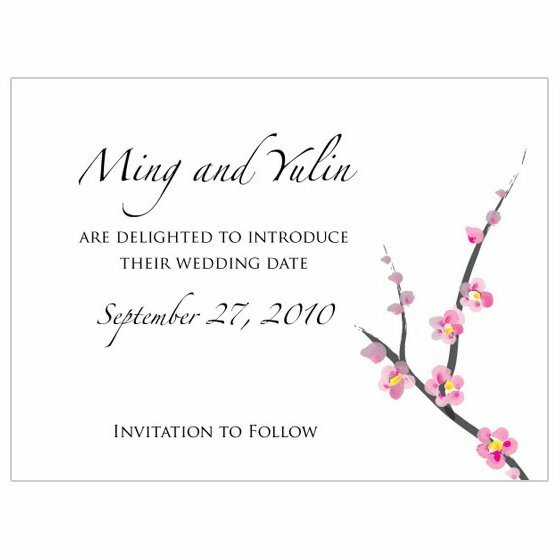 These gorgeous Save The Date cards feature the symbolic and romantic cherry blossom design that coordinates perfectly with the rest of our cherry blossom collection. Cards are sold in sets of 8 with a 3 set minimum. 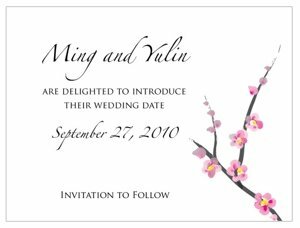 Personalized with your names followed by "are delighted to introduce their wedding date" and your date followed by "Invitation to follow". Product dimensions: 4 x 3".